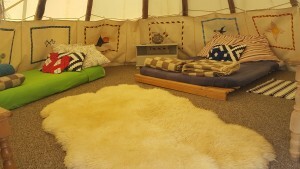 We have 3 Tipis that are available for hire. Takoda, Amitola and Kangee. 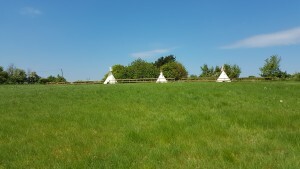 All three Tipis are set slightly apart from our camping pitches. Each one is set up looking over our lower meadow, with views towards the air field. There is a small wooded area behind our tipis that adds to the secluded, peaceful feeling. 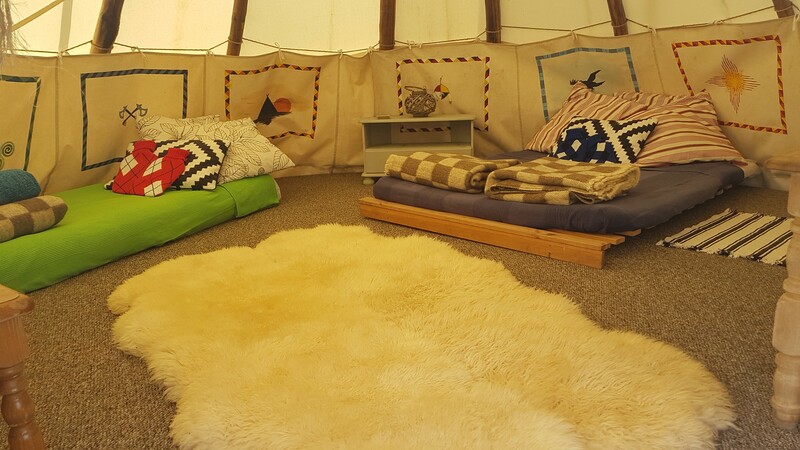 Fully furnished tipi with the number of beds specified in your booking, as well as plenty of blankets, cushions, rugs and other items of furniture, to make you feel right at home. ( Please bring duvet/sleeping bag, a pillow and towel). Welcome basket of food, including all the essentials such as milk, bread, butter,eggs and more, we also add in some sweet treats such as cupcakes or biscuits and of course marshmallows. Logs, kindling, firelighters, everything you need to get a warm, crackling campfire going. Patio gas stove outside your tipi. A welcome pack containing brochures of local attractions and other important information. Please don’t forget to sign the visitors book and let us know what you thought of your stay. Takoda Amitola and Kangee all sleep up to 6 people(4 +2 for comfort), (Takoda is pictured below). 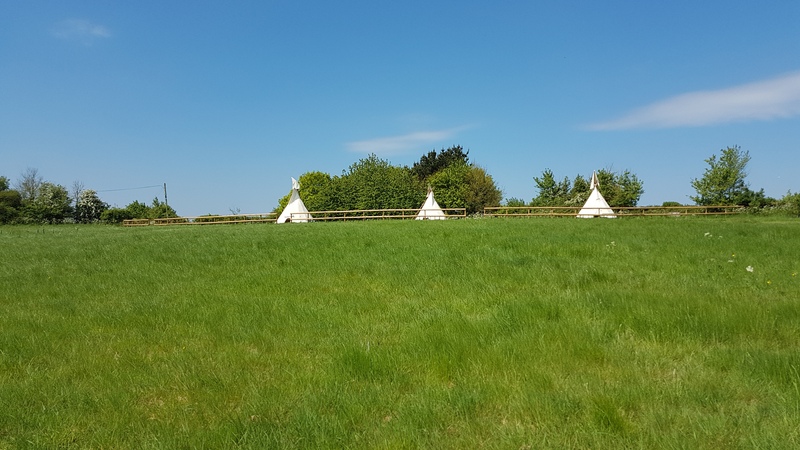 We also have adjoining camping pitches which are also bookable should you want friends to camp with you when staying in one of our tipis. Just tell us when booking and we will do our best to put you together.